You are here: Home / Career / Career Credentials…What are they? What is that new NCDA credential, CCSP? Why should you get one? Career Credentials…What are they? What is that new NCDA credential, CCSP? Why should you get one? NOTE: This article is my understanding and my personal thoughts on the new CCSP certification. Although I am on the CCSP Advisory Council for NCDA, this article is not affiliated with NCDA, only my attempt to answer the many questions I have received from a variety of people. The world of work has changed over the years, and now certifications and credentials are more important than ever. Nearly every profession out there has professional standards and with those standards are often credentials that tell the consumer you have met a minimum requirement in training. It means something to the consumer. Career services is no different. We need to have standards for our own credibility and to improve our professional reputation in the eyes of the consumers. The National Career Development Association (NCDA) has recently created five (5) credentials to represent that many different types of professionals who deliver career services. I will focus my thoughts here on the Certified Career Service Provider (CCSP). Over 25 years ago, NCDA recognized that there were MANY people delivering career services in a wide variety of settings, with little training. For our profession to grow and be recognized as valuable, we needed a mechanism to provide training and credentials. NCDA developed the Facilitating Career Development (FCD) curriculum. The official title has always been the FCD textbook, but for some reason, it has been referred to as the CDF class, probably to match the original certification called the Career Development Facilitator (CDF) which later became the Global Career Development Facilitator (GCDF). Note: You will see people put CDF as the credential on their LinkedIn profile. This is not correct. The certification is GCDF. There are 12 competencies identified to be covered in the curriculum (see them here) in this 120-hour course. The 120 hours include field hours (visiting career centers, doing your own work, researching, etc..), online, reading textbook, and a minimum number of “live” class hours required. I first taught this class every Tuesday from 4 – 8 pm for months… what seemed like forever, plus some Saturdays. I vowed never to do that again! Now due to the explosion of online teaching, the minimum requirement for contact time is 24 hours, delivered remotely or face to face, the remaining hours can be completed online. I currently teach it with five live classes. *Note: in 2001 Cathy Van Dyke and I were teaching the FCD (called CDF at the time) class and applied to CCE to convert it to a hybrid course. They didn’t know what to do with us! I believe we were the first people to be approved for extensive online training for the FCD class. I now have been teaching this course as a hybrid for 16 years! Why was an outside organization selected for credentialing? The FCD training program was originally created by NOICC, a federally funded program, NCDA, and Oakland University. These organizations approached the National Board for Certified Counselors (NBCC) about credentialing. NBCC created the Center for Credentialing and Education (CCE) specifically to credential completers of this new training program. So why did NCDA decide to create their own Credentialing Commission? NCDA is the premier career professional association in the world and like many other professional associations, are now credentialing professionals in their field. NCDA has developed five certifications that recognize the complexity of our field. Certified Career Services Provider (CCSP)™ — a credential for individuals from an array of backgrounds, to deliver services and demonstrate core competency in the field of career services. 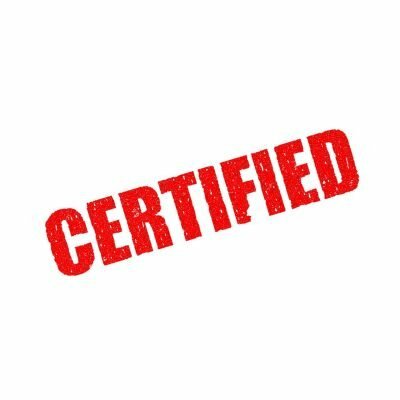 Certified Master of Career Services (CMCS)™ — a new professional credential intended to recognize the contributions of non-counselors who have mastered a variety of roles within the field of career services. 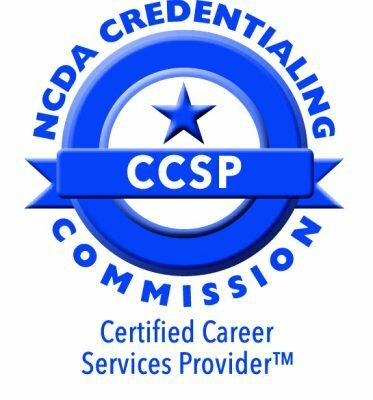 What is the Certified Career Service Provider (CCSP) credential? CCSP is one of the few credentials someone can get that does not require a Master’s degree in counseling or other related field. If a person wants to improve their career skills, regardless of degrees, this is the certification to consider. Successfully pass an assessment that is 4 case studies based on the material you learned in the class. For a complete list of all the steps see this website. If you currently hold the GCDF credential, can you apply for the CCSP? Beginning August 1st this year and through December 2018 anyone holding a current GCDF credential can apply for the CCSP credential without taking the assessments. Simply go to this website. I recommend watching the short video showing you how to setup and navigate the credentialing website. I have completed my application and am one of the first to hold the new CCSP credential! For a complete listing of FAQ’s, go to this website. I believe that in 10 years the CCSP will be the career credential for many career practitioners across the country as well as in a number of countries across the world. With the addition of 4 other certifications offered by NCDA now, consumers will be able to have a level of confidence when working with a credentialed career service provider. What are the differences between GCDF and CCSP? Below is a chart that lays out the differences between the two credentials. I encourage you to look at both credentials and decide which one is best for you. I would like to point out the Certified Master of Career Services (CMCS)™ which is “a new professional credential intended to recognize the contributions of non-counselors who have mastered a variety of roles within the field of career services.” There are many people who have been providing career services for years and do not have a counseling degree. This is an ideal certification to consider. Learn more. In addition, completing the FCD training will count as career specialization requirement for the Certified Career Counselor™ (CCC) — the new standard of professional excellence for individuals trained as counselors, who will specialize in the delivery of career counseling services. There is so much more to write about these credentials and why I think having a credential is important, but I will stop here. I encourage you to explore these credentials and others that will help you improve your skills and professional credibility. What are your thoughts on career credentials? Watch this Youtube interview I conducted with two career professionals who hold a number of credentials. “I have completed my application and am one of the first to hold the new CCSP credential!” — Hi Jim! I just received my CSSP credential, as well! Congrats to us both. That is great Eileen. Congratulations. Hi Jim, does this mean the GCDF is being replaced or one could carry both credentials? Cheryl, it is not being replaced. They are both options for career practitioners. Both do require the CDF class (still trying to call it the FCD – Facilitating Career Development class). You can hold both but would require 2 annual fees. Both are credible certifications and from the consumer / clients / students, I don’t think it matters as much. As long as you show some type of credentials in your field.